Come enjoy our house specialty Fish Tacos and delicious Island Sunset cocktail while taking in the majestic mountain backdrop. 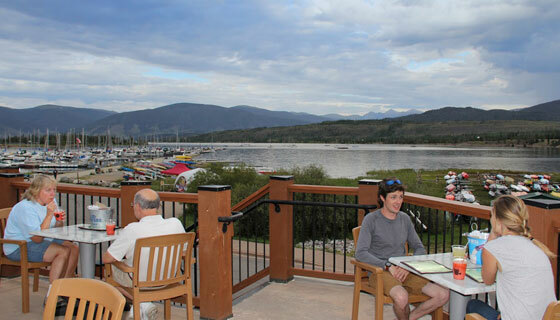 Relax by pristine, beautiful Lake Dillon - just a stone's throw away. The Island Grill features a fun and casual atmosphere in a unique setting like nowhere else in Summit County! Come get a taste of why we call this home. Do you have any questions or comments for the Island Grill? Use the contact form below, we would love to hear from you!